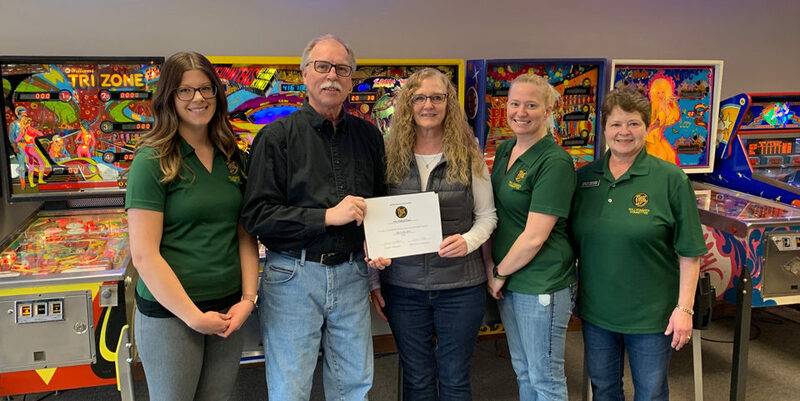 The Willkommen Committee of the New Ulm Area Chamber of Commerce recently stopped by to meet Tim Melby, Hearing Care Professional at Connect Hearing. Tim has been with Connect Hearing for 15 months. He had previously operated a mortgage company before deciding to get into the hearing care profession. Originally from Aitkin, MN, Tim says he has felt very welcome by the patients and community here. Tim commutes to New Ulm 5 days a week from Shakopee, where he lives with his wife. They have 3 grown children and 1 grandchild. Tim is a musician in a classic rock band, which he says contributed to the fact that he himself wears hearing aids. Kathy Ellanson is the Patient Care Coordinator at the New Ulm Connect Hearing, and has worked in the office for 9 years. Patients can try out hearing aids risk free for 2 weeks! 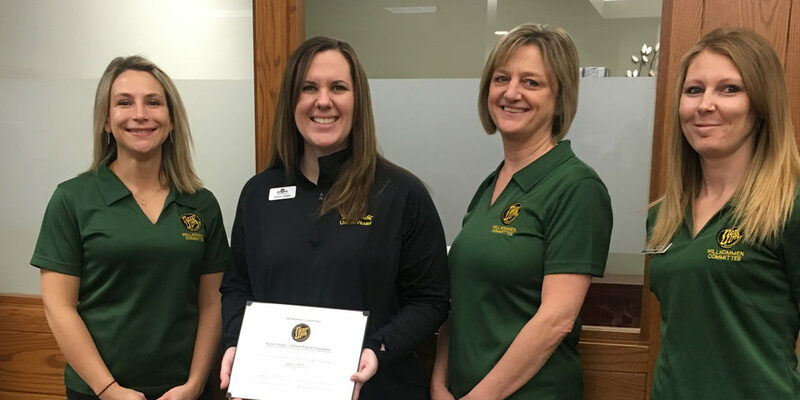 Stop by their office at 825 N Broadway, or contact them at 507-359-1932 to learn more. In the photo are: Brittney Schmiesing, Chuck Spaeth Ford; Kathy Ellanson and Tim Melby, Connect Hearing; Jessica Janni, Bank Midwest.